How many times do we interview for skills rather than competencies? How often have we seen people with impressive resumes, unable to pull it together and synthesize new ideas into working solutions? It’s a common problem, likely caused by being unaware of the distinction between skills and competencies. Because skills are easy to test, we test for them, but because competencies are much more deeply ingrained in the person, it’s very hard to expose competencies during interviews. What are some of the skills in the workplace? Basic Workplace Skills, per U.S. Department of Labor, which surveyed business, organizations, unions to determined that workplace competency depends on 36 skills. Competencies are composed of various skills, but also pull from a deeper psychological well related to who a person is. That resonates with my experience as well. Too often we have “specialist” coaches who are one-trick ponies. 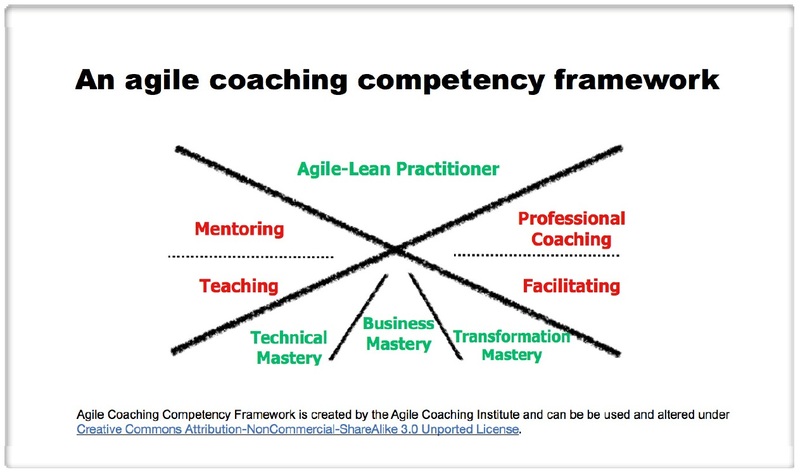 An agile coach or a solid scrum master needs to be able to cycle across several dimensions and up and down the org chart quickly and comfortably. Facilitating: A neutral process holder who guides groups through processes that help them come to solutions and make decisions. 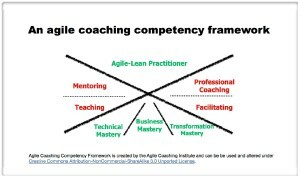 Agile-Lean Practitioner: Applies agile practices, lives agile values. Remember the old adage: not everything that counts can be measured. It would appear the only reasonable way to determine competencies would be to observe someone in action. Salganik, Laura. 2001. “Defining and selecting key competencies”. Kirkland: Hogrefe & Huber.